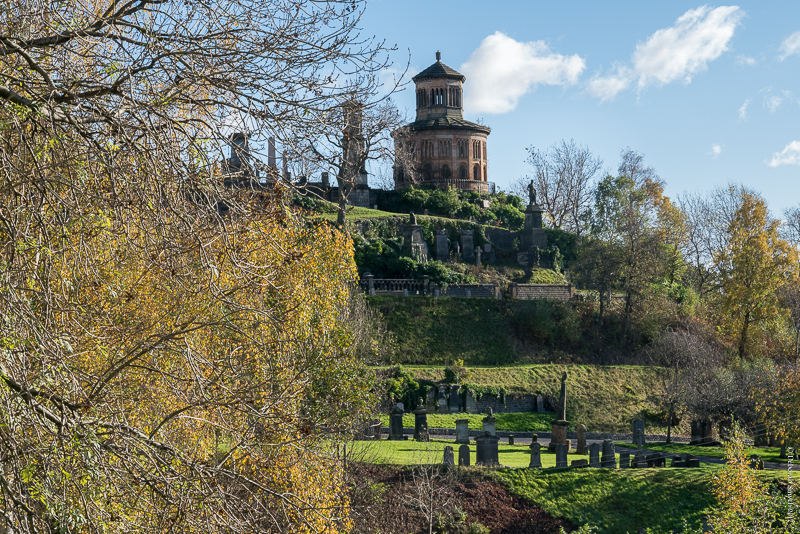 The Glasgow Necropolis is one of the most significant cemeteries in Europe, but I have to admit that its history, size and beauty were all surprises to me. I had actually set out on a walk to find the wonderful street art that Glasgow is rightfully proud of. But looking up a street from one of the murals, I caught a glimpse of grassy hummocks and a host of monuments. Both curiosity and the promise of views across the city called me up the hill. The area has a long history, having opened officially in 1833. 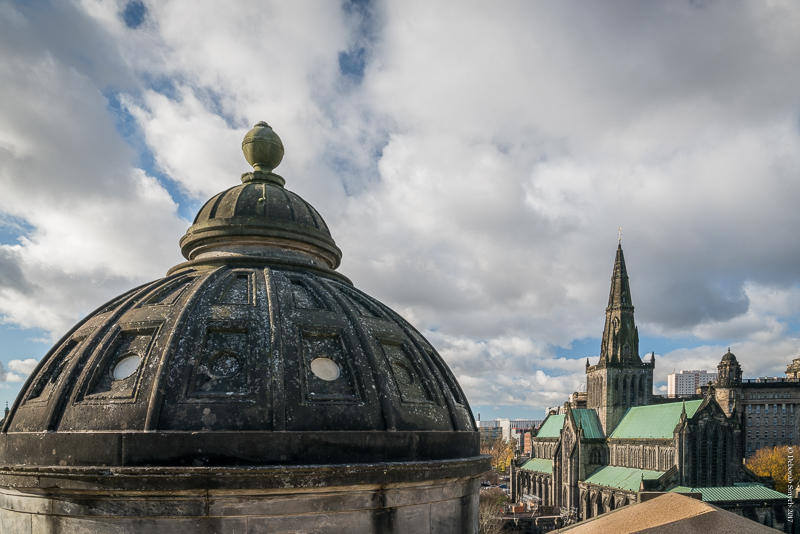 Glasgow was growing into a major industrial city in the early 1800s. In the first 30 years the population trebled to around 200,000, with Irish and Highland immigrants pouring into a city that could not cope. 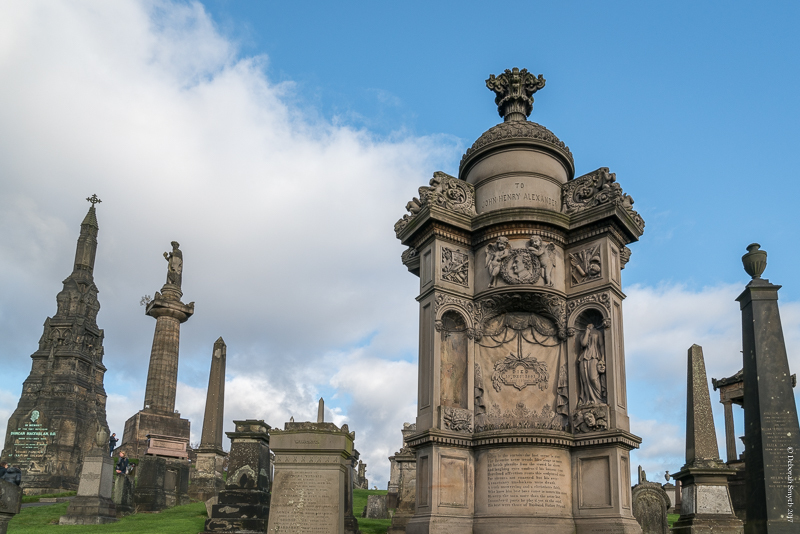 Poor sanitation and insufficient housing led to epidemics of cholera and typhus and figures for the 1830s report that around 5000 people were dying each year in Glasgow. Churchyards were unable to cope with that demand. 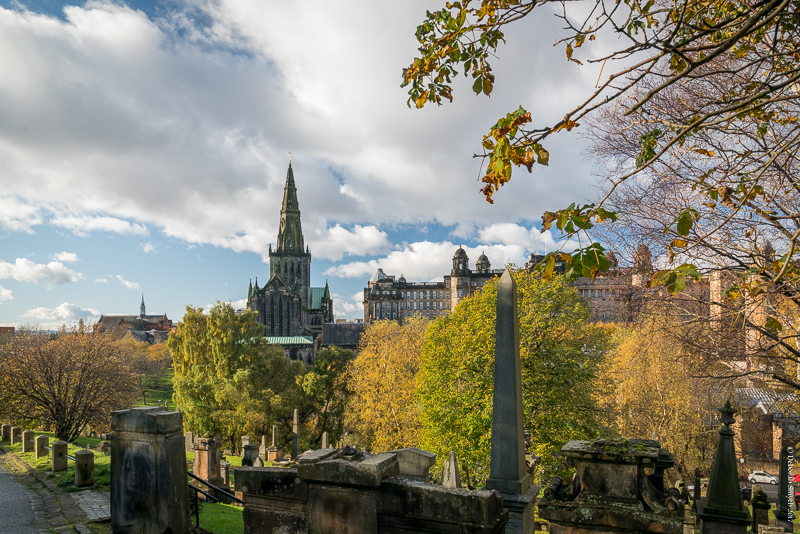 Paris had already gone through similar pressure on graveyards and the existence of their large cemeteries, such as Père Lachaise, put pressure on Glasgow to change its approach. 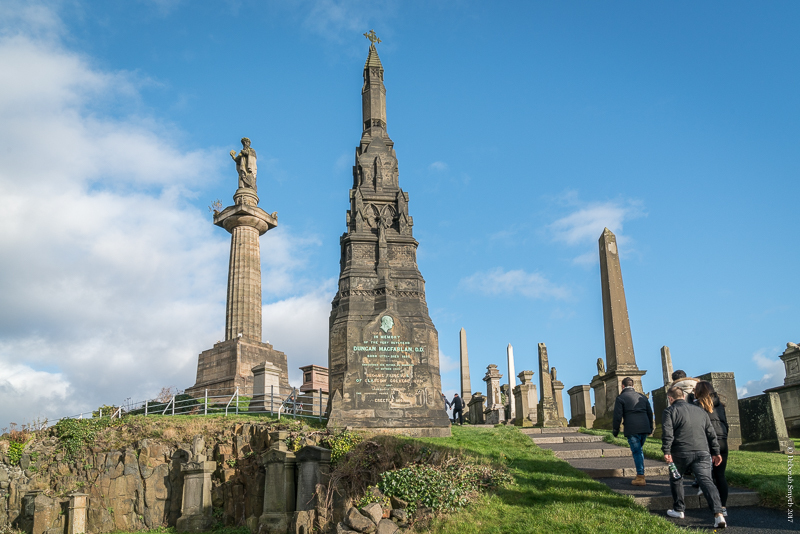 The park and arboretum, home to the John Knox monument, at the side of the Cathedral attracted attention for development. 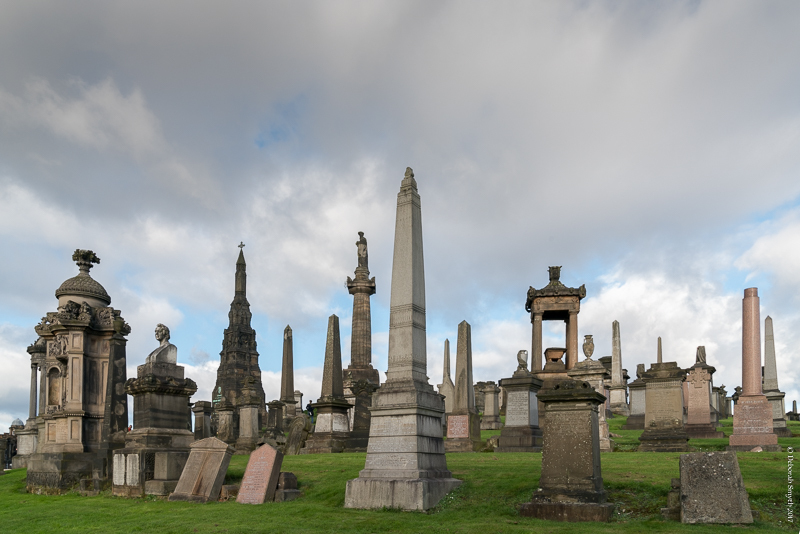 Plans to change Fir Park to the current Necropolis began in 1831. It opened just two years later, and since then there have been over 50,000 bodies buried and 3,500 monuments erected. The area is readily accessible from the Cathedral. The atmosphere up here is peaceful and not sad, and you are also welcome to freely wander and admire. 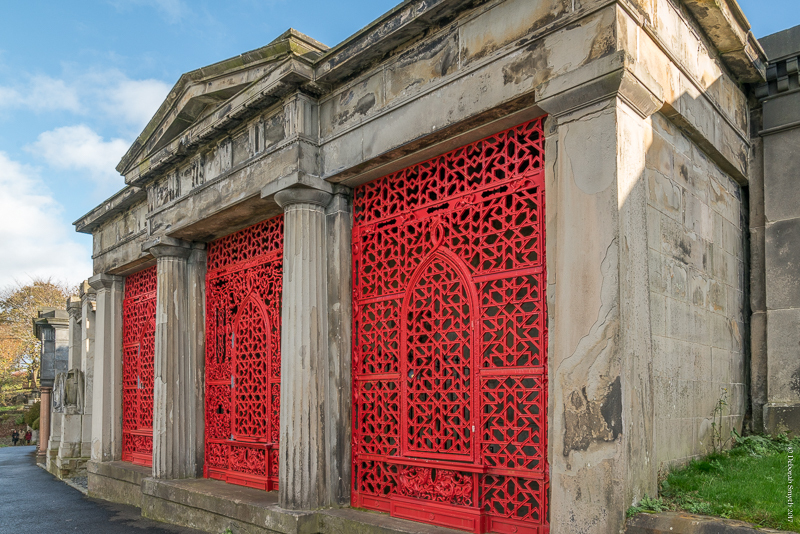 There are guided walks available from Friends of Glasgow Necropolis and also Glasgow Women’s Library. If there are no walks available when you visit, you can download a map guide from here. 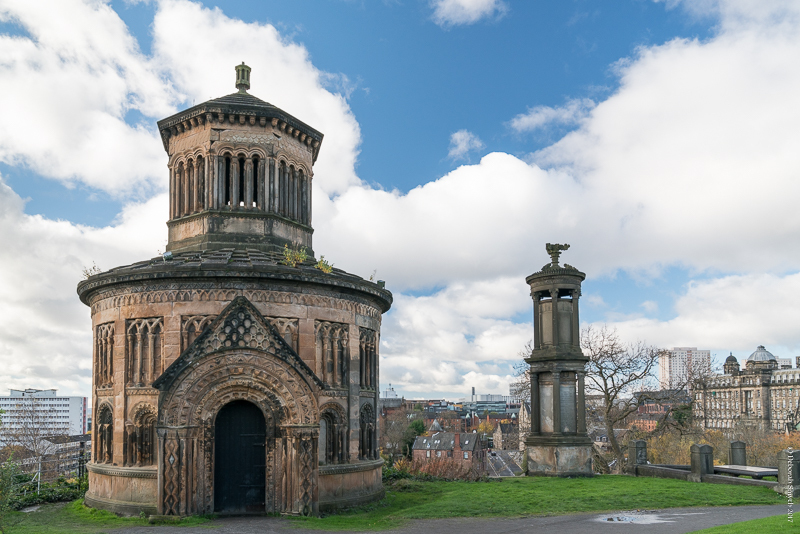 The Glasgow Necropolis, despite it’s grim function, is probably one of my favourite places in the city. I love sitting on the grassy verge on a summer day, away from the bustle of the crowds, enjoying the views over the city. I can’t imagine the fascination with the dead…. I get the heebie jeebies when I pass a graveyard and can’t imagine spending the rest of my death in a closed box and under the earth….. Thanks for this post. Despite growing up in and around Glasgow, I have never been here. I really must visit it on my next trip north. We are all so guilty of not doing the things in our doorstep! Enjoy on your next visit! If only time did the same! very interesting architecture, enjoyed bits of history too. Interesting and unique! I love old cemeteries, especially in places like Scotland. They hold so many stories, and they’re very photogenic, too! Hi Annabel – thank you for this – I will take your guide if I mange ti get back there next spring / summer. I wish I’d read all this before I went. I’m also going to add a link into the post itself.